More Zoom More Money: Is It Worth It? Fujifilm has released quite a few long-range cameras, and each new release boasts upgraded features. The S4000 has the same number of Mega Pixels as the previously reviewed S2950, yet it has been fitted with almost twice as much optical zoom as the aforementioned model. As we continue with this review, we will discuss some of the other features and benefits that the Fujifilm FinePix S4000 has to offer. Then, we will know if it’s an overall better camera or just a more expensive one with a little more zoom. The S4000 is said to be compact in design and I guess it is when you compare it to other long-range cameras. However, it may be considered a little bit chunky, especially if you are the type of person who likes to fit your cell phones and cameras in your pockets. I guess you can’t complain with it being a 30 X zoom long-range camera and all. It measures approximately 4.6 x 3.2 inches in width and height respectively, and a depth of 3.9inches. Bare in mind that this measurement does not include any of the accessories, such as the batteries and the memory card. With these items present and all things considered, the camera can weigh up to 19 ounces. 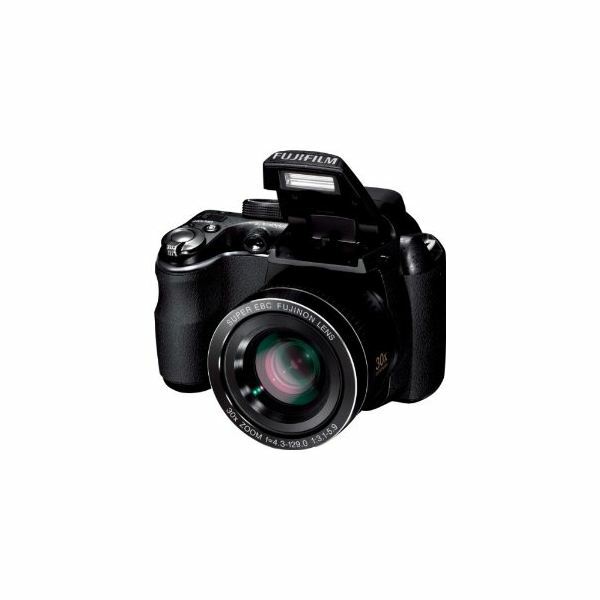 As with many of the FinePix models, the On and Off switch and the Zoom button are conveniently located at the top of the camera, along with the mode wheel. There is also the electric-powered Zoom lever that is situated next to the Shutter button. It is easy to utilize and the outside material of the camera allows for easy grip. Most of it is made from plastic of course, but there are the occasional leather like trimmings in the hand grip areas. Also, you can expect to see the Face Detection button, the Menu button and the Function button at the back of the camera. This is located to the right of the LCD screen. At the bottom of the camera, you can find the battery, the tripod bush and the 16GB compatible memory card compartment. 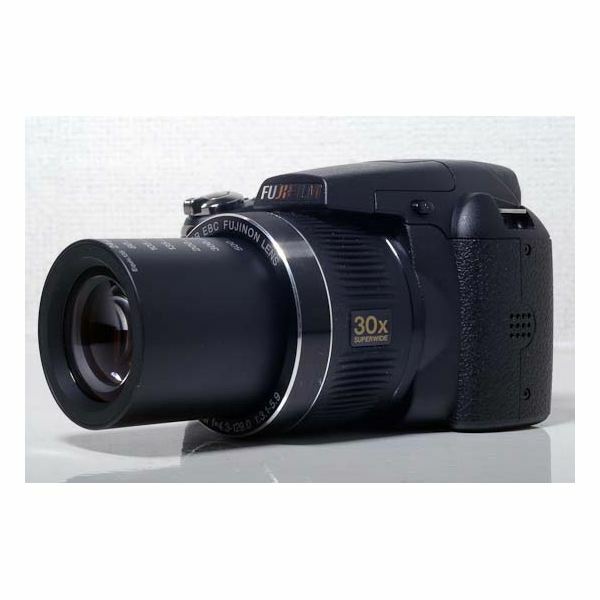 The Fujifilm FinePix S4000 was released along with the S3200, and you will find that both of them have similar features. It is no surprise that the S4000 has HD recording capabilities, because it is quickly becoming a standard feature on these types of cameras; not only on FujiFilm cameras but some of the Canons as well. This camera records in full HD, thus allowing you to play it back on your HDTV via your HDMI port with a suitable cable. As with the other similar models, it is unfortunate to say that the mini HDMI cable is not included – but you will be happy to know that they are easily accessible and available. You can take pictures like a professional with your S4000 by utilizing your 30x zoom lens. Think about taking pictures of landscape, flowers or animals where you will get stunning definition without being too close to scare the animal away. With a new camera – and even an old one – you will find that you have many pictures on your memory card. It is great knowing that you have captured every moment you thought worthy. Yet, what about all the time that it will take you to skim through all those pictures just to locate one or two in particular? With the Face Recognition and Image Searching features, this will no longer be a problem. You can use this feature to tag people’s faces as favorites, and you will be able to search via name when you want to find certain photos. The downfall is that you can only store 8 new faces, but I don’t see that as much of a problem if you are going to be shooting family and friends. Another feature that is becoming standard in these recent Fuji and Canon cameras is the Dual Image Stabilizer. This is probably due to the long-range zooms that these cameras are equipped with. Often times, when you zoom to the full capacity of a camera, the image begins to get more and more blurry. With the stabilizer, pictures are supposed to be sharper and more vivid even at max zoom. More importantly, they will help if your hands are a bit shaky or if your subject is moving. Another common feature is the easy uploader for Facebook and YouTube. With this feature you are able to tag your photos and videos from within the camera. Therefore, the process will be less timely when you connect to your PC. You will, however, have to use the FinePix Studio software to upload the items. In essence, you can tag a photo from the very moment it was taken. That way, you will not have to sift through all your photos to decipher which ones you want to upload. 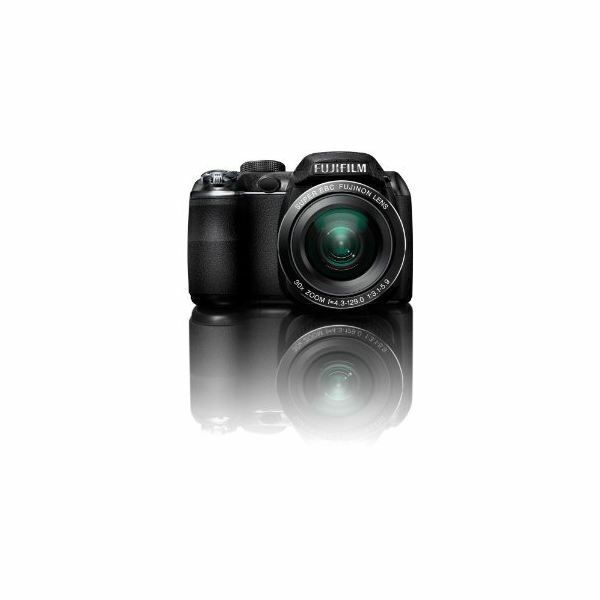 The Fujifilm FinePix S4000 is very easy to use, and all the features are easily accessible. Even if you are new to these types of digital cameras, you will be snapping away in no time. All of the buttons are conveniently located and move pretty smoothly without much effort – but what is there to say about the actual pictures themselves? Sadly, this camera does not live up to its hype. The zoom works great, but the actual picture quality is awful. I currently own a Blackberry Smartphone with a 3 mega pixel camera, and it is sad to say that this Fujifilm camera produces pictures which are only a little bit better than the ones taken on my phone. In the day, the pictures are great, and there is very little complaint. You would almost think that it is worth every penny, but alas, the pictures taken at night or in low light are horrid. Don't get me wrong. The colors are still great and have the usual Fuji quality, but the pictures lack detail and almost seem as if they were painted by a really good artist. That's not a good thing. A picture should look like a picture. I have seen this camera for as little as $214 on Amazon, which is not a bad price for a digital camera with 30x zoom. If you want to know if this camera is worth its price, you should think about the price versus the array of features and the picture quality mentioned in this s4000 review. Videos seem ok and pictures that are small can almost live up to the Fuji quality, but as soon as they are over a certain size, they begin to lose their appeal. If you are content with small or regular sized pictures, you can consider this an okay buy. In essence, if you have already bought this camera, you may not need to return it if you do not have high demands. 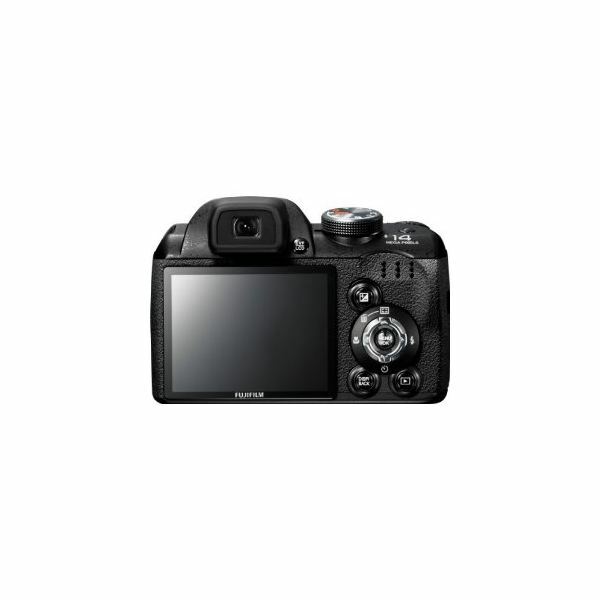 However, if you have not yet made a purchase, you should keep looking or maybe go for the older model FinePix HS10. Image Credit attributed to the manufacturer and retailer via the above links.